Priyanka Chopra Jonas tweeted about the collaboration with Mindy Kaling and said, "We are about to show you what it means to be modern, global, and Indian." 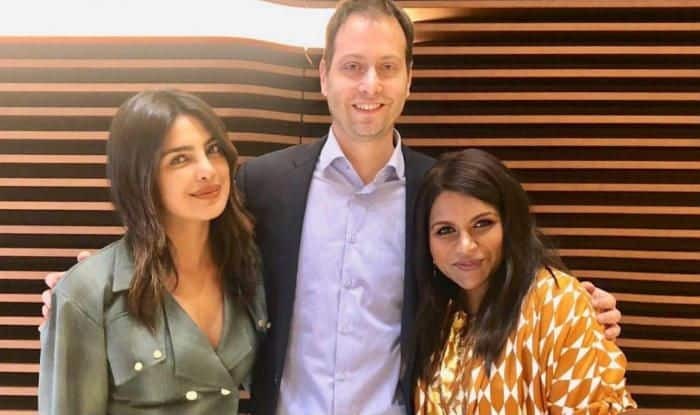 Global stars Priyanka Chopra Jonas and Mindy Kaling are teaming up for a film based on big fat Indian wedding. Mindy has got Indian roots and therefore, the team thought of it as a good cultural exchange. As reported by Variety, Universal Pictures has come on the board after winning an auction for a pitch by Kaling, Priyanka and Dan Goor. The script will be developed by Goor and Kaling together while the latter is also expected to be involved as the director of this yet-to-be-titled project. Apart from featuring in the film, Priyanka Chopra will also produce the project under her banner Purple Pebble Pictures. The other banners are Kaling’s Kaling International, Howard Klein’s 3 Arts, with Goor. Heather Morris and Nina Anand Aujla. Not much about the film is given away except a little brief – Crazy Rich Asians meets My Big Fat Greek Wedding. The film, however, is believed to showcase the complexities and fun of cultural clashes at a big wedding in India. PC made another post while sharing the picture of herself posing with Kaling and Goor. She just wrote “#PROUD’ in the caption. Back home, Priyanka is gearing up for her next Hindi film titled The Sky is Pink. It’s a film directed by Shonali Bose and also features Farhan Akhtar and Zaira Wasim. The film is based on a book by Aisha Chaudhary – My Little Epiphanies.